The first place that many people go when looking for a job is online job sites — and rightly so. Old job hunting rules tell you to pound the pavement as if your job search is a full-time job. But with the convenience of the Internet, you can cover a lot more ground online in a shorter amount of time. Still, finding a job online is — literally — a full-time job in itself. While you’re not “pounding the pavement” handing out resumes, you are spending hours sifting through job postings online and preparing a unique resume for each one. Following are the best tips I’ve gathered from career experts regarding how to find a job online and the best online job sites to start with. Begin your online job search by visiting the top online job sites. My list below includes tips and tricks for using each website. Of course, even the best online job sites have some pros and cons to them — so I’ll cover those as well. PROS: Craigslist is a very popular site for finding jobs and freelance work near where you live. CONS: Unfortunately, you need to weed through a great deal of garbage before you find legitimate job opportunities. Since listing a job on Craigslist is free (with the exception of a few major metropolitan areas), many people list job scams on the Craigslist job boards as well. PROS: Indeed boasts millions of job listings from thousands of websites — including company career sites, job boards, newspaper classifieds, professional associations, and a few other unique sources for job postings. CONS: Some job listings on the Indeed website appear redundant — they’re basically just copied from other websites. PROS: CareerBuilder collects and aggregates job postings from newspaper listings. As a result, they have unique job listings that will not usually be found on other online job search sites. CONS: Careerbuilder has fewer job postings, compared to other major online job sites. PROS: Monster allows you to block your resume from appearing to specific companies. When posting your resume to Monster, the block feature can be a lifesaver — by preventing your current employer from knowing about your online job search! CONS: Monster doesn’t have a spam filter — so you might receive a lot of scam offerings. PROS: SimplyHired has more job postings than the other online job sites. In addition, their search engine and algorithms are better than most. CONS: You can’t post your own resume on the Simply Hired website. And they offer relatively few tips to help you find a job, compared to the other online job sites. PROS: SnagAJob is a great place to start if you’re looking for hourly work — you’ll find both full-time and part-time hourly jobs here. CONS: The online application process at Snag A Job can be a bit tedious. PROS: Glassdoor is unique in that it gives you unique insight as to what it’s like working for a particular business. They list employee reviews of the company, salary ranges, and other behind-the-scenes information. CONS: Glassdoor does not actively list job postings, per se. But the information they provide is priceless when conducting your online job search! One major issue with using online job sites is that they’re set up for the purpose of screening out prospective employees. Therefore, it’s difficult to make personal contact with the people you’re sending your resume to. 1. One resume will not fit all of the jobs you’re applying for. Once you’ve found a few jobs that fit your expertise (or that you are otherwise interested in), be sure to tailor your resume to fit each specific opportunity. In addition to tailoring parts of your resume, you should also write a unique cover letter for each job that you are applying for. 2. Don’t just send a blind resume; let someone know it’s coming first. You want to be one of the few job candidates who has taken the time to personally contact the hiring manager — both before and after sending your resume. Call and inform the recipient that you are sending your resume. A day or 2 later, follow up with another phone call asking if they’ve received your resume and when they expect to fill the position. While this tactic works best if you have some sort of previous relationship with the employer, keep in mind that the squeaky wheel gets the grease (…as long as you don’t get too annoying). 7 Tips For Finding A Job In A Tough Market — The tips here cover everything from insisting on face to face meetings, to networking, and looking past the online job searches. 4 Tips For Finding A Job In A Recession — Great tips including why you should try to make a lot of friends right now (because it is easier to get a job through someone you know rather than in a blind interview) and reasons to consider volunteering and freelancing (to get your foot in the door). 7 Job Search Rules You Should Be Breaking — The truth is… there are no rules in today’s online job search strategies! See why and what you should be doing when applying for jobs. 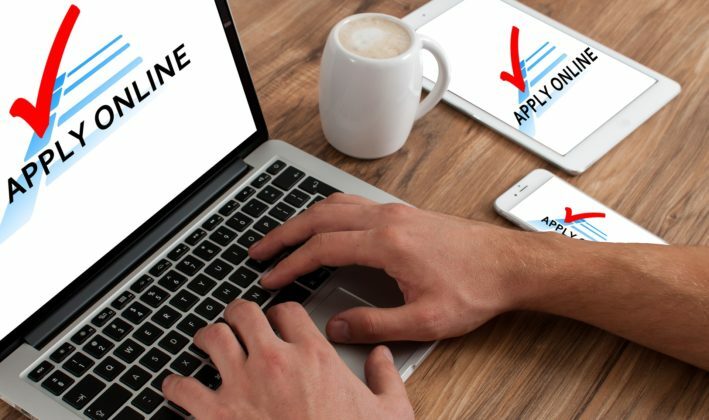 5 Ideas That Will Make Your Online Job Search Fun And Successful — For example, it will be easier to find a job online if you first do some information-gathering and reflection, and be sure to reach out beyond your own network of friends, family, and colleagues. 8 Ways To Make Your Social Media Profile An Employer Magnet — You want to clear up any misleading information about yourself on the Internet. You especially want to make sure that there is nothing about excessive drinking, promiscuity, or ranting about a previous employer online. And make sure that you have an explanation ready for those things that you can’t delete. 45 Things You Can Do On Social Media To Find A Job Online — Some of the best tips I’ve seen for using sites like LinkedIn, Twitter, Facebook, and other online communities to find a job. If you think an online job working from home might be what you’re looking for… here are 20 legitimate ways to make money online, plus tips for avoiding online job scams.